As every day passes I wonder if Ben is playing hardball with his grandfathers? Did the Steelers look to low ball or get a Steelers friendly deal done? Did Colberts comments help father Ben get a top deal? Figured this would be all wrapped up by now. Are there any impending QB contracts coming that could hold up Ben's deal? Let's not put stuff in we have no proof of yet. Let's let it play out first. Your nervous thou; I get it. We all would have liked it done already too. Hang in there. Omar Khan could probably write contracts for guys like Dan McCullers or Eli Rogers in his sleep, but franchise QB contracts are never simple. Always a ton of moving parts to deal with and work out. Especially since this should be Ben's last NFL contract. Patience, grasshopper. You should stick it in your pipe, and smoke it. Obviously. He is in the top 15 QB's right about 13th at OTC. Bet he wants to be paid top 3-5. And I am saying he is playing hardball after his season and Colberts comments. But in my original posts wonder if anyone felt the same. Oh yea this should be his last contract for crying out loud! Now after thinking more about this, I now wonder why we all kind of figured this would be "easy" and "done already"! The irony in his post is hilarious. Same dude who tells us what goes on behind closed door meetings now wants people to wait before posting. Last edited by Oh wow; 03-18-2019 at 12:43 PM. I hope that it is all about structure. For example, say the idea is a 3 year, $75M contract. How can we do that and keep as much cap space available during those three years, while essentially guaranteeing it all gets paid out? How about something along the lines of a five year, $125M deal with a $50M SB and salaries of $7M, $8M, $10M, $25M, $25M. However, since Ben won't be playing after three years, he is cut after June 1 of year 4 so a dead cap hit (deferred cap hit) of $10M in each of years 4 and 5. $55M over the first three years on a cap friendly deal. He won't be cut prior to year 4 as a third year cut accelerates $30M in dead cap dough. Will be fun watching everyone blame every other contract besides the largest one as the reason we canÂ’t field a decent defense. I have never questioned your being a fan but statements like this challenge that belief. 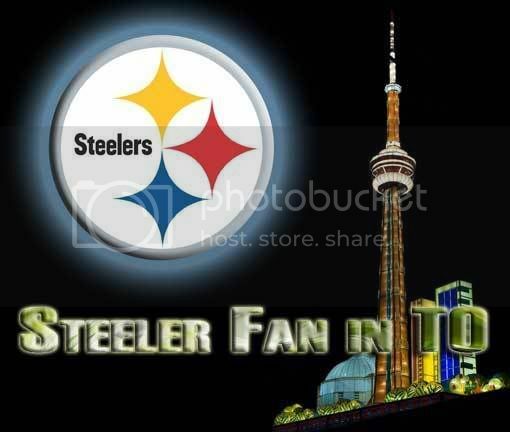 I care only that the Steelers succeed not so much that fanboys get outed. What say conversely the Steelers say screw it let him go to FA after the contract, or let him retire or trade him? What would you be saying about the Steelers blowing up and go into total rebuild mode. Btw I do believe you are a fan but I think being right on this clouds many people's judgment.